What is Black Toenail Fungus and What Cause It? Black toenail fungus, also known as Onychomycosis, is a type of fungus that usually infects toenails, though can affect fingernails alike. Black toenail fungus is highly infectious and it commonly affects people who walk around public areas or use public showers and pool areas without wearing shoes. Other common reason of fungal infection is injury to the toenail which makes it prone to this infection. Black toenail occurs due to the trauma or the injury of the toenail bed. Black fungus can occur on a fingernail as well. Injury of the toenail bed can cause a blood vessel to break and bleed and since the blood has nowhere to go, a blood collects beneath the nail plate, sometimes under a large area. After the blood begins to dry, it turns from red to purple blue and black which results in a black toenail. 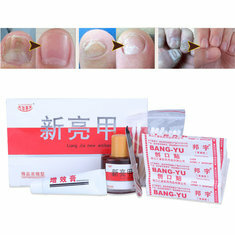 The black fungus infects nails and the cuticle and also destroys the keratin of the nail which produces a black color. Black toenail fungus is common among the athletes and generally among people who stand, walk or run a lot. Athletes can easily hurt their toes while playing sports, especially if they wear tight fitting shoes. If it repeats often, this stress to the toe causes a blood blister to form beneath the toenail. This condition mostly occurs among runners and soccer players because their toes are constantly rubbing up against the front part of the shoes or because they are subject to the harshest impacts. The other violent toenail impacts that can be a reason of black nails include getting a toe smashed by a heavy object or jamming a foot or hand finger in a door. Prolonged exposure of feet to wet environment also increases chances of getting the nail fungus. Black or blue toenails are also common among people above 65 years of age, as well as among those who wear tight fitting shoes or shoes of a wrong size which makes toenails weak and amongst people who cut their toenails too close to the skin, which can cause multiple small cuts in the skin that allow fungus to enter and spread. 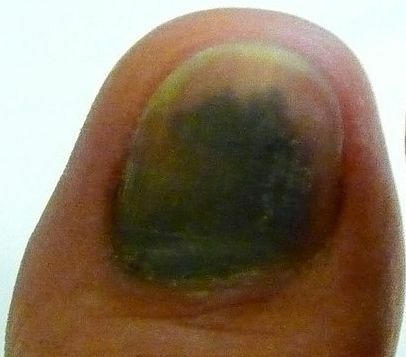 After a toenail injury, the nail firstly appears purple blue and then blackened. The big toenail is most often affected. Due to the injury, a blood vessel breaks and the blood blister beneath the nail which cause the skin to become blue, deep purple and black in color. After that the nail will usually fall off when a new nail in the end grows in, which generally takes four to five months. Besides the fact that black toenail fungus aesthetically does not look nice, it can be very painful and can affect quality of our normal daily life. It should be emphasized that if the discoloration vary from dark green to blue-green or bluish grey then its possible to be a nail infection called Green Nail Syndrome, that is caused by a bacterium known as Pseudomonas aeruginosa. If pain is severe, you should see your doctor to determine whether or not you need a treatment. The doctor may prescribe a medication or even decide to remove the black toenail or to make a hole in the nail to allow drainage which will relieve the pressure. If the pain is manageable, the best is to leave it to fall off when the new one begins to grow. 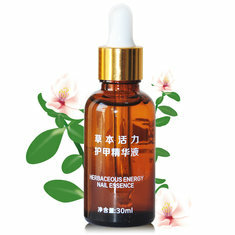 However, there are numerous home remedies that are effective in combating nail fungus by reducing its spread available today like Vicks Vapor Rub, Listerine®, Tea Tree Oil, Hydrogen Peroxide (3%), Vinegar and many others. A large number of people have had positive experience with Vicks® VapoRub® and Listerine® in treating nail fungus in spite the fact that they are not created as nail fungus medication. However, the effectiveness of using Vicks Vapor Rub as a remedy for toenail fungus is not very clear. 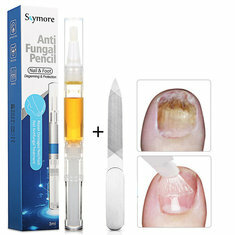 While some people have found that using it on the affected toenail has helped, some have experienced no benefit. Vicks is able to stop the growth of the fungus, but not to eliminate it. Listerine® contains some herbal ingredients like thymol, menthol, eucalyptol and methyl salicylate that may have anti-fungal effect. Tea tree oil is known for its natural and powerful fungicide and antiseptic effects. Mixed with a basin, vinegar may also have antifungal effect, especially apple cider vinegar has proven to be effective. Hydrogen Peroxide (3%) which can be found in any pharmacy can help as a remedy for black toenail fungus; max it with water in proportion 50:50 and soak your feet for 20 minutes, twice a day. Dry feet well after the treatment. Keep your toenails properly short and don’t ever use the same nail trimmer on healthy and infected nails, always use sterilized nail clipper to cure toenails. Wear 100% cotton socks to avoid sweating of your feet. Wear correct shoe size, especially when wearing running shoes. Wash your feet regularly with soap and warm water. Always dry your feet thoroughly after washing them.